May 14th through May 18th. Join 65 bloggers, including me, for 5 Days of…Blogging! The subjects are as diverse as we are. Look for this graphic on each of my blog posts. Click and follow the link and you’ll be able to hop easily, from blog to blog, topic to topic. 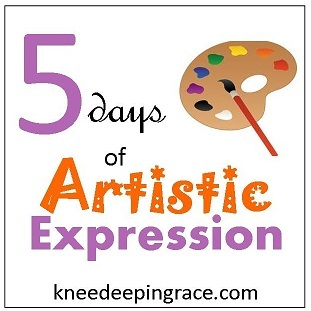 I’ll be writing 5 Days of Artistic Expression! I’m not receiving any compensation for this – I’m writing just for fun! I’m writing because I have the privilege of participating in a Blog Hop with a group of wonderfully talented bloggers! I’m looking forward to your art posts.